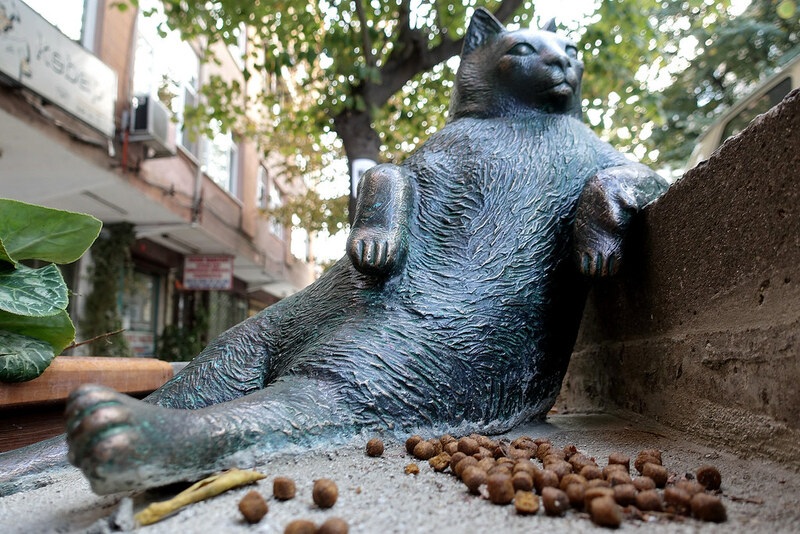 On the occasion of World Animal Day on October 4, Istanbul unveiled a sculpture in the likeness of Tombili, a cat that shot into fame early this year when a picture of him reclining on a sidewalk was widely circulated on the Internet. 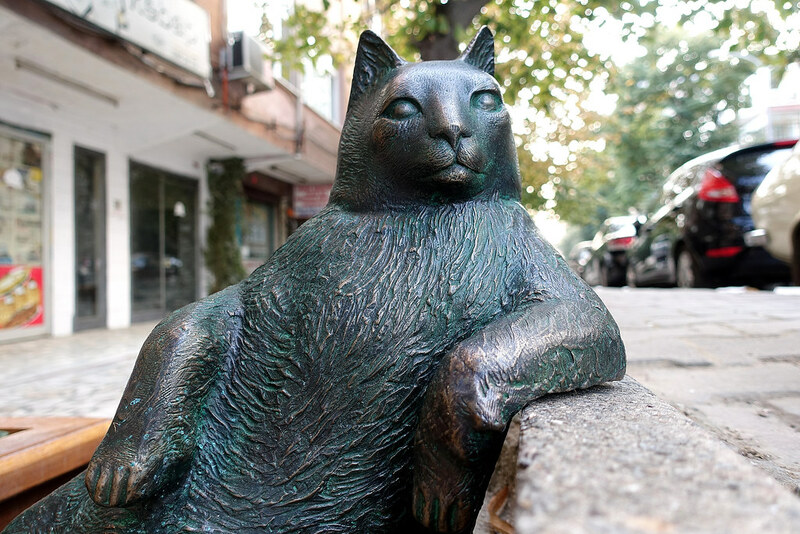 When Tombili —a Turkish word often used for chubby pets— died on August after a month-long mysterious illness, an online petition on change.org was started demanding a sculpture of Istanbul’s beloved cat which attracted more than a 17,000 supporters. 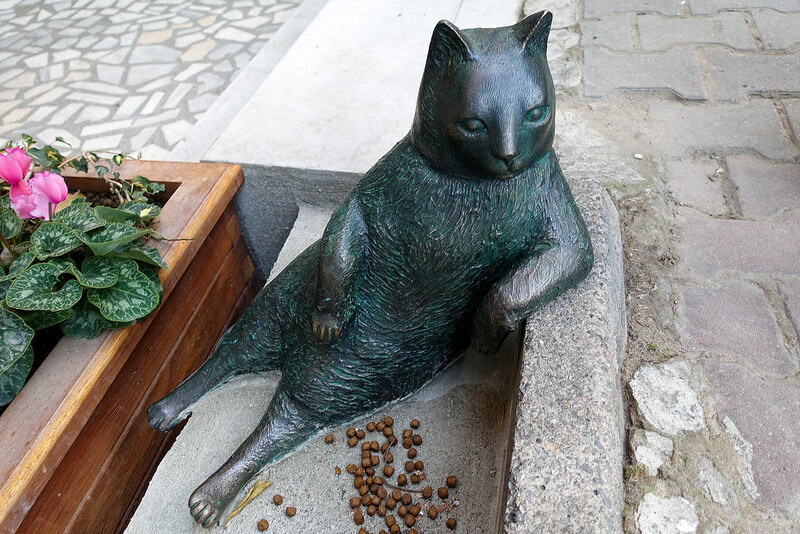 In response, local sculptor Seval Şahin built the commemorative sculpture and installed it at the exact location where Tombili posed for the famous picture. Tombili was born in the neighborhood of Ziverbey, part of the district of Kadıköy, along with her sister, Kezban, who lost her life when she was very small. Züleyla Sarıca and Bahtiyar Sarıca, the owners of the house where Tombili was born, said, "When they were babies we made a small cottage in the garden. Everyone loved them and came to see them to take photos." On the day of the unveiling, hundreds of people came to pay their respects, leaving candles, cat food and flowers.